Well, for reasons I don't care to go in to right now I found my self in need of some cheering up on Saturday. And for reasons beyond my control that entailed buying new tech and games, despite having no money haha! It has to be done!!! I went and took a look in Comet, since they are liquidating their stock, as I thought I could pick some stuff up cheap. I could always use an extra HDMI cable as well as some new headphones, and if the price is right then why not? Well how wrong I was. Stuff was still way more expensive than other leading retailers, and the 'slashed prices' were more like 'nudged a little prices'. For example an iPod dock usually £54.99 was reduced to £52.99, WOW!! So yes, that venture proved to be pointless. And they wonder why they are having to shut up shop! Disappointed I wandered over to Currys which is in the same retail park; and lets just say I walked out a very happy chap. I have been after a decent Camera for a while, but through lack of reasons to splash out I've never bothered buying one. Recently however, with starting vlogging, as well as just having a busier social life in general I have had reasons. And an offer in Curry's was just too much to pass up. Was looking through the cameras and on sale was the one I have been looking at with longing eyes for ages, thinking I could never get. 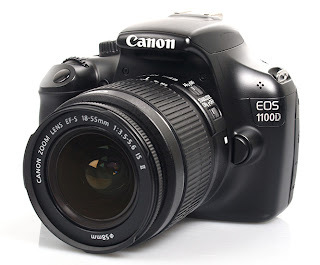 The Canon EOS1100D. A perfect entry level DLSR camera. The camera was reduced by £35 from the norm, and through a little bartering I managed to get a 32GB class 10SD card and a case for a total saving of £60 on the individual prices. It came with an 18-55mm lense, the same as in the picture above (which I just grabbed off the web, its not mine). So happy with it, well worth the spend. Going to take some getting used to as I have never used a DSLR properly before, but I am happy to learn and it's going to be great. Also this weekend I picked up a copy of Bioshock for my PS3. As weirdly I have never owned it for any console, always borrowed it of other people. So going to be giving that a play through once I get bored of playing Borderlands again. Although at present that may be a while as I am loving playing the Sniper class on BL at the mo!!! Anyone else picked up any interesting Tech lately?